Final year English and Drama student Sophie Pester will be taking her original stage show A Glass Half Empty to Brighton Fringe next month. First performed by SUDS (Sussex University Drama Society) last semester, the show is an original two-woman drama exploring ageing, memories and the importance of friendships between women. 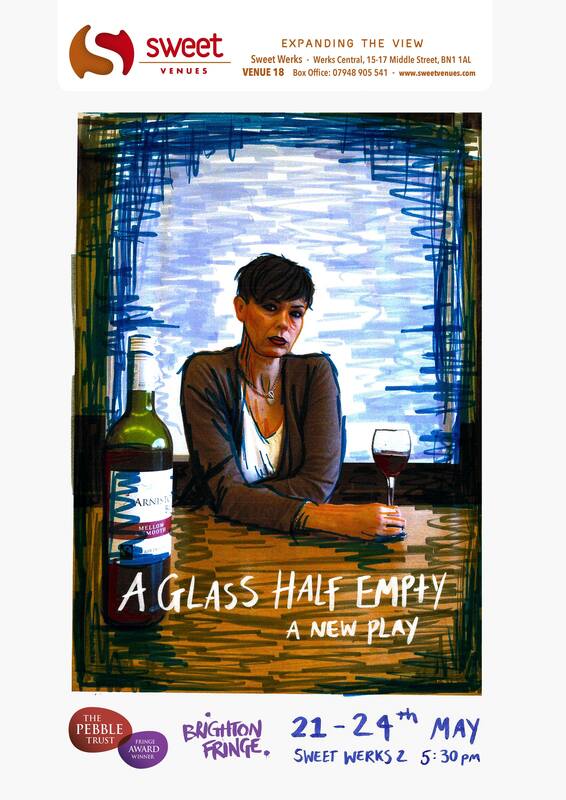 A Glass Half Empty is a one act performance taking place in 40-something Angela’s living room. A strong-willed, sharp-tongued businesswoman, Angela has invited her estranged childhood friend Bea over for an evening. With a long-term partner and a stable but lousy job, Bea has everything Angela doesn’t, and everything the two swore as budding teenagers they would never aspire to. From a stripped-back naturalistic setting, the play quickly evolved as Pester realised so much of what she wanted to communicate would remain unsaid between the characters. The play has become peppered with confessional monologues, dark humour and surreal interludes, illuminating the difference between the surface behaviour that evolves out of social conduct and what is hidden beneath. Amidst this collision of genres and theatrical styles, Pester explores what it means to be a woman in our society, and most notably the significance of the friendships we as students may be forming right now, and what they may become in years to come. A Glass Half Empty will be performed at the pop-up Fringe venue Sweet Works 2 in the South Lanes from 21 to 24 May. Performances start at 5:30pm. You can find out more about the production and about Pester’s theatre company Giggling Witch on their Twitter and Facebook page. Should Instrumental Skill Still Matter?